Ever since the founders drafted "We the People," "we" have been at pains to work out the contradictions in their formulation, to fix in words precisely what it means to be American. 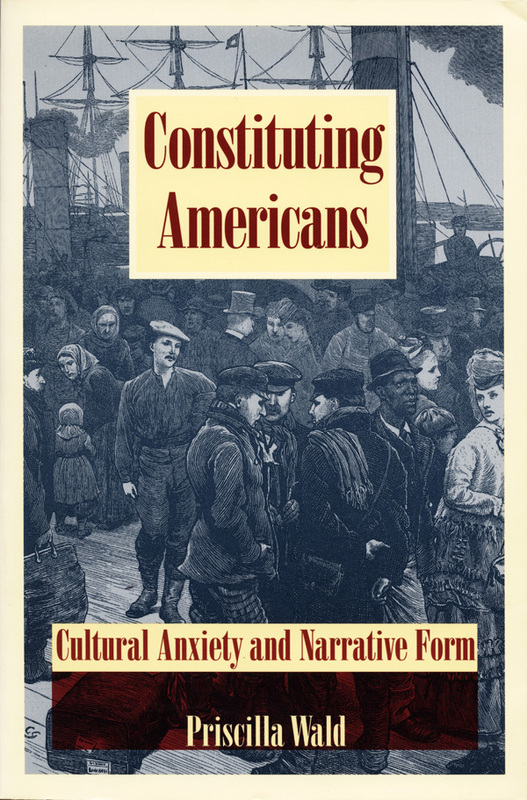 Constituting Americans rethinks the way that certain writers of the mid-nineteenth and early twentieth century contributed to this project; in doing so, it revises the traditional narrative of U.S. literary history, restoring an essential chapter to the story of an emerging American cultural identity. In diverse ways, very different writers—including Frederick Douglass, Herman Melville, Harriet Wilson, W. E. B. Du Bois, and Gertrude Stein—participated in the construction and dissemination of an American identity, but none was entirely at ease in the culture they all helped to define. Evident in their work is a haunting sense of their telling someone else’s story, a discomfort that Priscilla Wald reads in the context of legal and political debates about citizenship and personhood that marked the emergence of the United States as a nation and a world power. From early-nineteenth-century Supreme Court cases to turn-of-the-century Jim Crow and immigration legislation, from the political speeches of Abraham Lincoln to the historical work of Woodrow Wilson, nation-builders addressed the legal, political, and historical paradoxes of American identity. Against the backdrop of their efforts, Wald shows how works such as Douglass’s autobiographical narratives, Melville’s Pierre, Wilson’s Our Nig, Du Bois’s The Souls of Black Folks, and Stein’s The Making of Americans responded, through formal innovations, to the aggressive demands for literary participation in the building of that nation. The conversation that emerges among these literary works challenges the definitions and genres that largely determine not only what works are read, but also how they are read in classrooms in the United States today. Offering insight into the relationship of storytelling to national identity, Constituting Americans will compel the attention of those with an interest in American literature, American studies, and cultural studies.